Child illness is one of the most perplexing problems facing society today. In fact, the issue is so profound that billions of dollars and countless hours have been put into developing diagnostic tools, treatment techniques, and cures for the conditions and disorders that plague the most precious among us—our children. The pediatric facilities on this list serve as examples of the most impressive strides toward solving the dilemma of child sickness. They have built award-winning, and most importantly, life-saving medical programs that have helped to heal suffering kids all over the world. The best of these children's hospitals demonstrate a strong desire not only to apply current medical knowledge to today's illnesses, but to advance the field of pediatrics by extending their knowledge and expertise to the next generation of pediatric specialists. In evaluating the most amazing children's hospitals in the world, our editors looked for facilities that provided comprehensive care while still dedicating extra time and effort to the key specialties and programs that make them the best at what they do. As such, these facilities act as referral centers for the sickest children who require the most informed and aggressive care available. After evaluating these and dozens of other candidates, it is the opinion of our editors that these are in fact the most amazing children's hospitals on the planet. We list them here by number of points awarded in accordance with our rating and ranking system. In cases where two or more facilities received the same amount of points, we listed them alphabetically by hospital name. 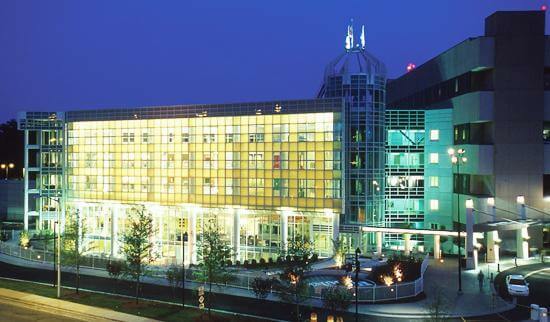 Cincinnati Children's Hospital is a 628-bed, nonprofit facility established in 1883. It admits over 30,000 patients per year, and its emergency department has been called one of the best in in the country, treating nearly 100,000 patients annually. The hospital includes a strong academic and research component. It comprises the Department of Pediatrics at the University of Cincinnati College of Medicine and is the third highest recipient of grants from the National Institutes of Health (NIH) for the funding of pediatric research. 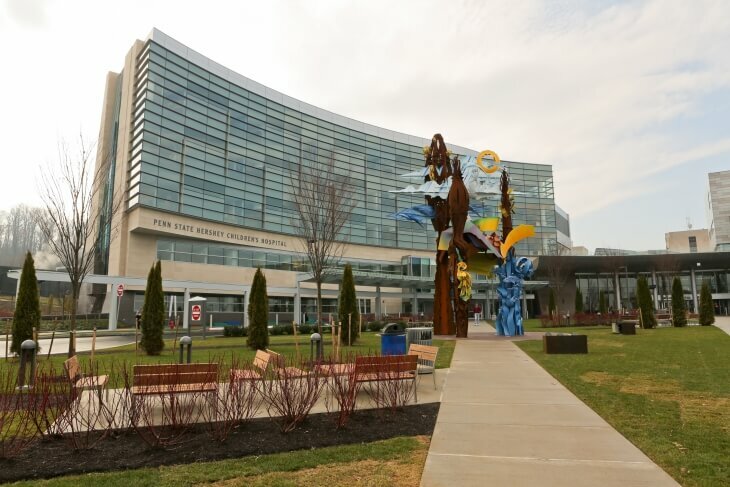 In addition to its certified Magnet status by the American Nurses Credentialing Center, Cincinnati Children's Hospital was ranked in the top three for nephrology, pulmonology, cancer, gastroenterology, and neonatology by U.S. News & World Report. The hospital attracts patients from around the world suffering from rare or complex disorders. 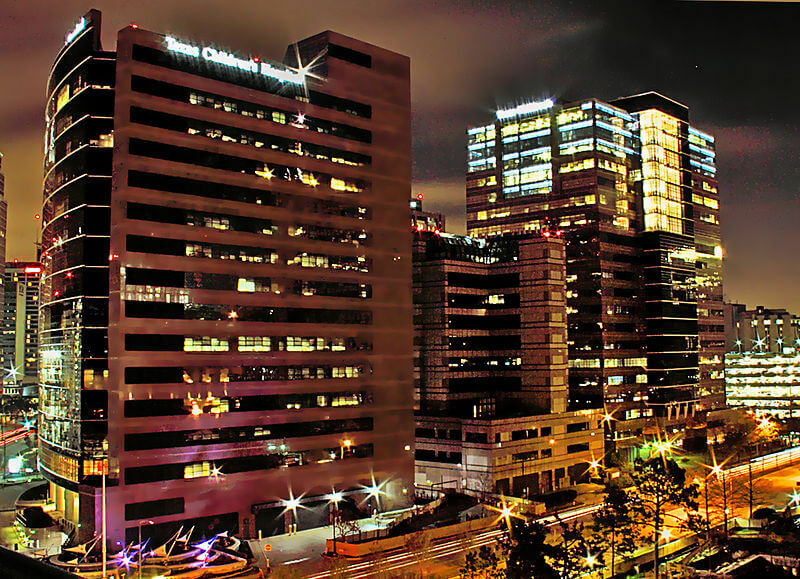 Children's Hospital Los Angeles is a non-profit teaching hospital that cares for over 100,000 patients each year. Physicians in over 100 different pediatric specialties work to make the facility one of the finest of its kind in the country and in the world. The hospital specializes in pediatric trauma care and is the top referral hospital in the region for patients in critical condition. 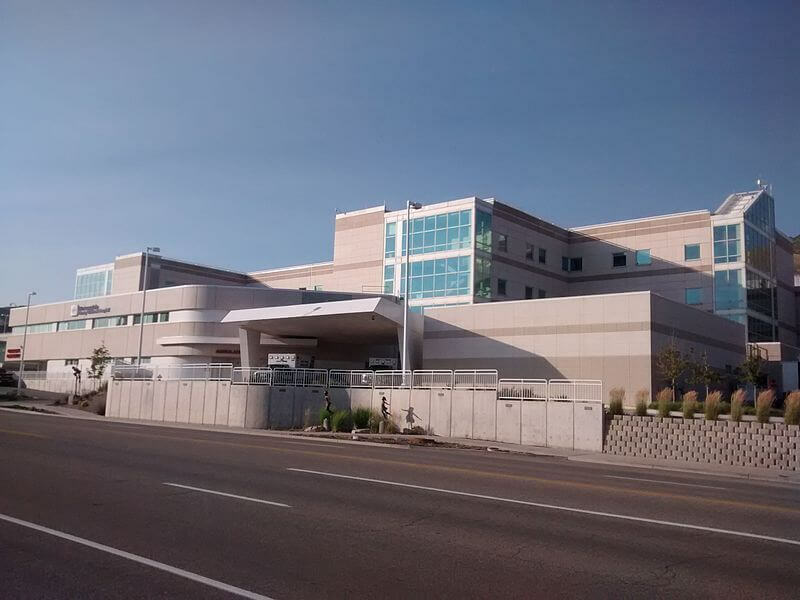 As such, it houses a Level I Pediatric Trauma Center as well as 35 critical care beds, more than any other medical facility in the Western United States. Its research arm, The Saban Research Institute, ranks ninth in the nation for pediatric research funding from organizations such as the National Institutes of Health and the Centers for Disease Control and Prevention. 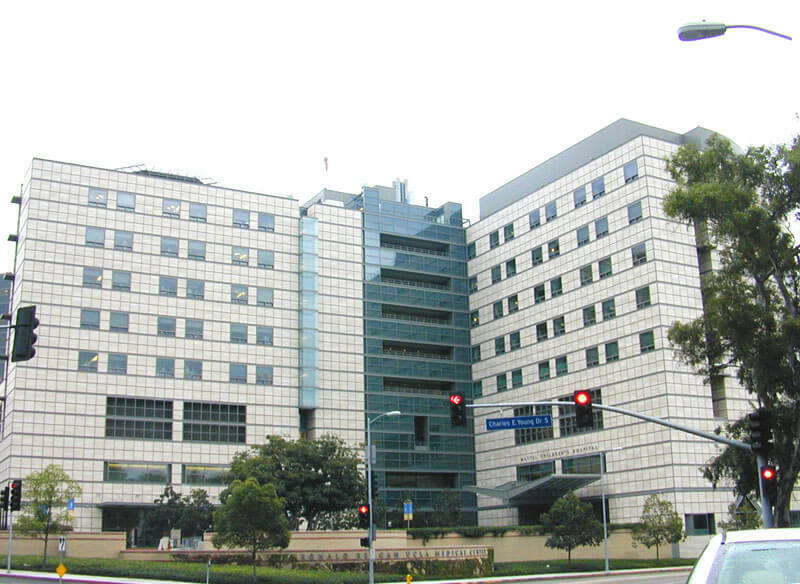 Children's Hospital of Los Angeles is an affiliate of the University of Southern California. 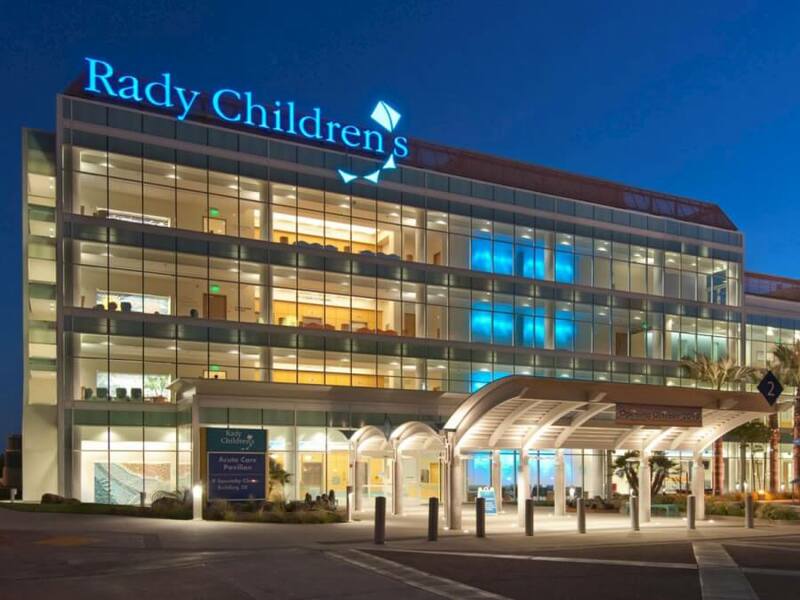 With 520 registered beds, Rady's Children's Hospital is the largest children's hospital in California and the sixth largest in the nation. One of the hospital's missions is to never turn a sick child away for lack of a bed. The facility was recently ranked in all ten pediatric specialties in U.S. News & World Report's list of America's top children's hospitals. In the same publication, Rady Children's Hospital was designated #2 in the nation in the specialty of orthopedics. 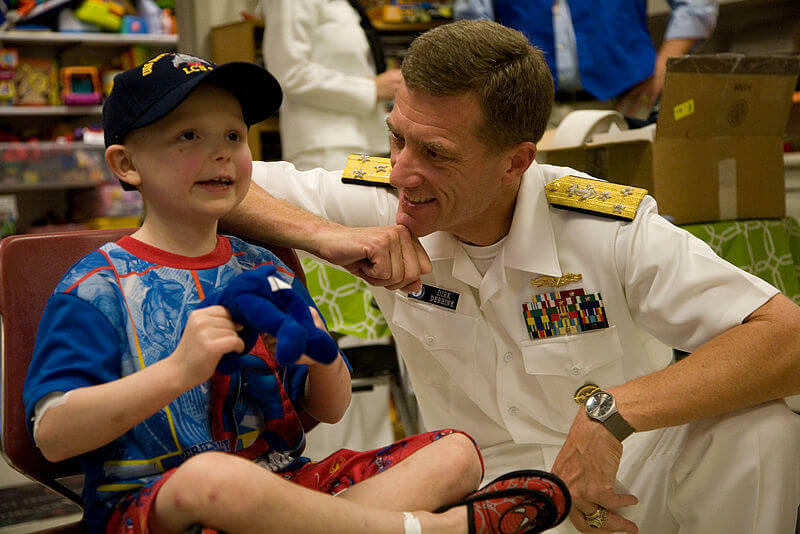 The hospital's dedication to children is unparalleled. In addition to typical child and family support services such as a canine care program and family advisory council, Rady's has some truly unique programs. For instance, its on-site Chadwick Center for Children & Families provides therapy and treatment for abused, neglected, and traumatized kids. In addition, the hospital is home to the Helen Barnardy Center, the only pediatric nursing home in California. 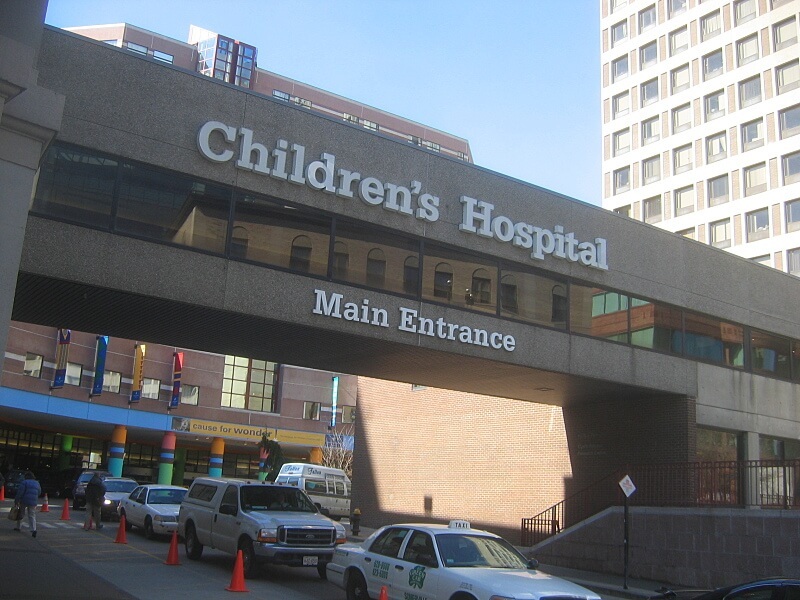 With a 395-bed capacity, Boston Children's hospital is one of the largest pediatric healthcare institutions in the United States. Although most of the hospital's 25,000 admissions and 557,000 visits per year are from children birth through 21 years old, the hospital also treats unborn children beginning at 15 weeks gestation. As a comprehensive care facility, the hospital treats patients suffering from a variety of illnesses and conditions including heart conditions, cancer, diabetes, and more. In addition to being recognized by many organizations for its exemplary care, Boston Children's Hospital also hosts one of the largest pediatric research enterprises in the world, the John F. Enders Pediatric Research Laboratories. Of the 1,100 scientists that make up its research community, nine are members of the National Academy of Sciences and eleven are members of the Institute of Medicine. The 284-bed facility known as Children's Hospital Colorado is home to several regionally and nationally acclaimed programs. For instance, it features a Level IIIC Neonatal Intensive Care Unit. This is the highest distinction granted by the American Academy of Pediatrics. As such, it treats 750 infants annually, who come from a 10-state radius. The hospital's pediatric cardiology arm, known as Children's Hospital Colorado Heart Institute, has been internationally recognized for its successful heart transplants. An academically-minded institution, the hospital has close affiliations with the University of Colorado School of Medicine. Its Research Foundation, established in 1953, is responsible for several medical breakthroughs including the development of new pediatric heart surgery techniques as well as the discovery of toxic shock syndrome. The hospital maintains an ongoing commitment to patient health and safety and reports an 11 percent reduction in preventable harm in 2014. 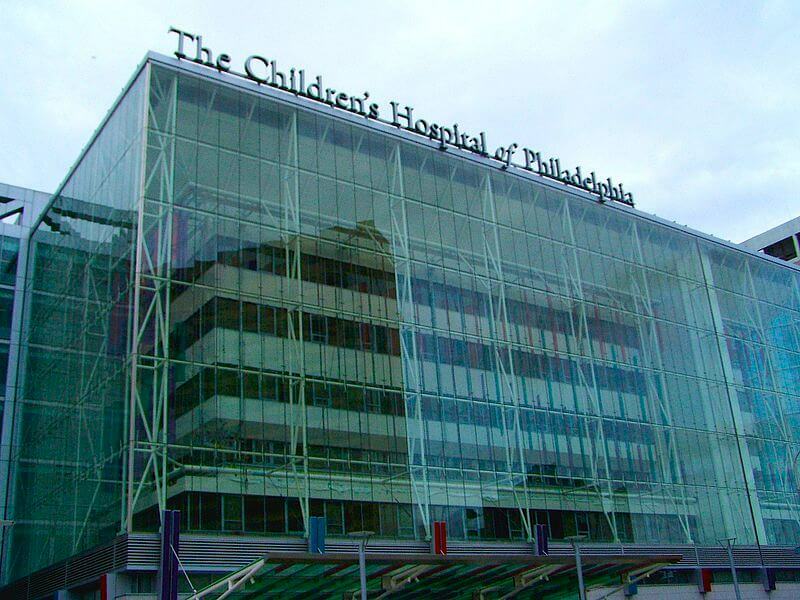 Established in 1855, the Children's Hospital of Pennsylvania (CHOP) is the first hospital in the United States to dedicate itself exclusively to the care of children. 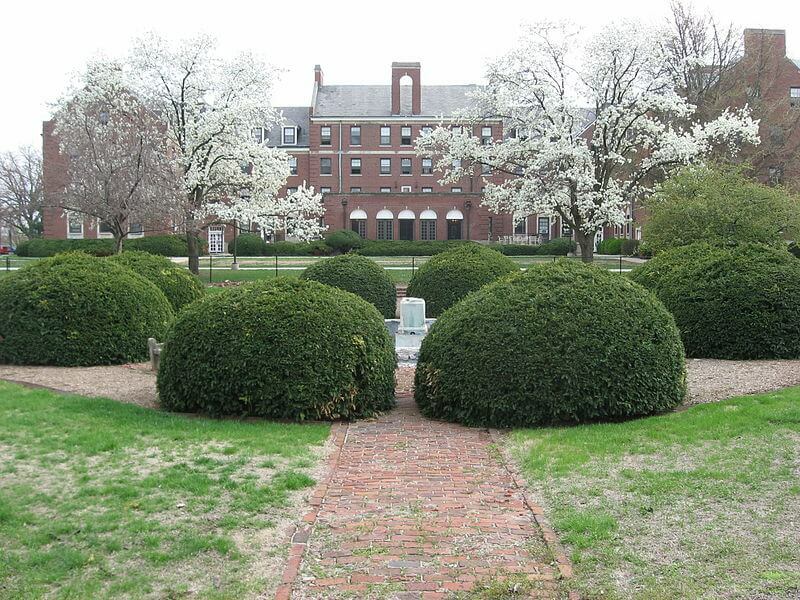 Its main campus is one of the largest in the nation with 527 beds. In addition, it is the center of an entire network of CHOP Care facilities including pediatrician's offices, urgent care centers, and surgery centers. All in all, the network serves approximately one million patients a year who suffer from a range of conditions including genetic disorders, cancer, behavioral issues, and dozens of others. 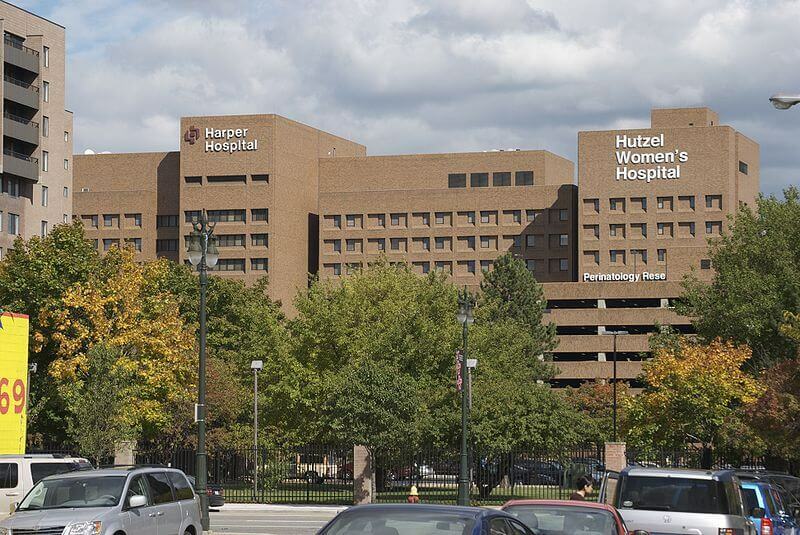 The American Nurses Credentialing Center has awarded the hospital with Magnet status, an honor that only around six percent of hospitals in America have achieved. CHOP prides itself on family-centered care and offers a variety of support services including family consultants, support groups, and home care. 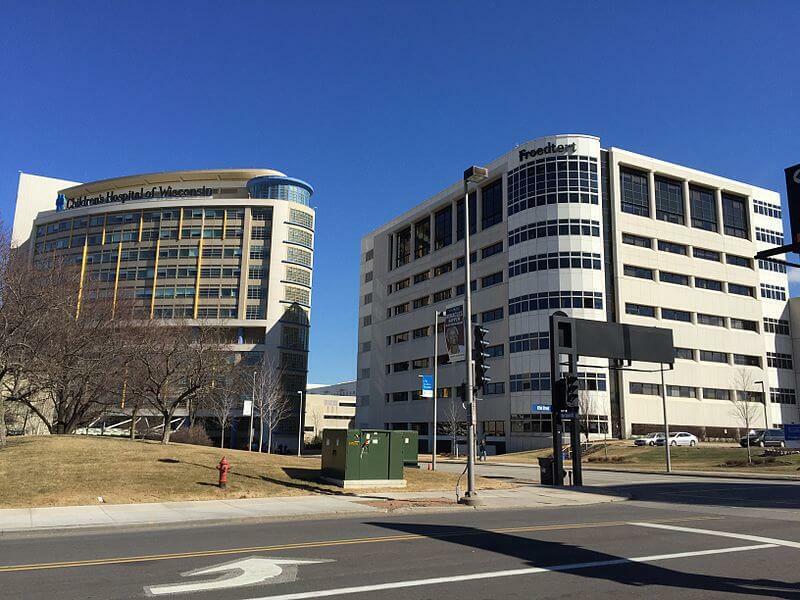 The Children's Hospital of Wisconsin may not be one of the biggest pediatric facilities in the United States, but this doesn't keep it from being one of the best. Since 1894, the hospital has been providing exceptional care to children in Wisconsin, Michigan, Illinois and beyond. In addition to being a Level I Pediatric Trauma Center (certified by the American College of Surgeons), it is also home to Wisconsin's only Level IV Neonatal Intensive Care Units. Over 70 specialty clinics including cancer, cardiology, neurology, orthopedics, and diabetes provide both outpatient diagnosis and treatment. Its commitment to medical education is visible through its affiliation with the Medical College of Wisconsin as well as its connection to over a dozen schools of nursing and pediatric education programs. 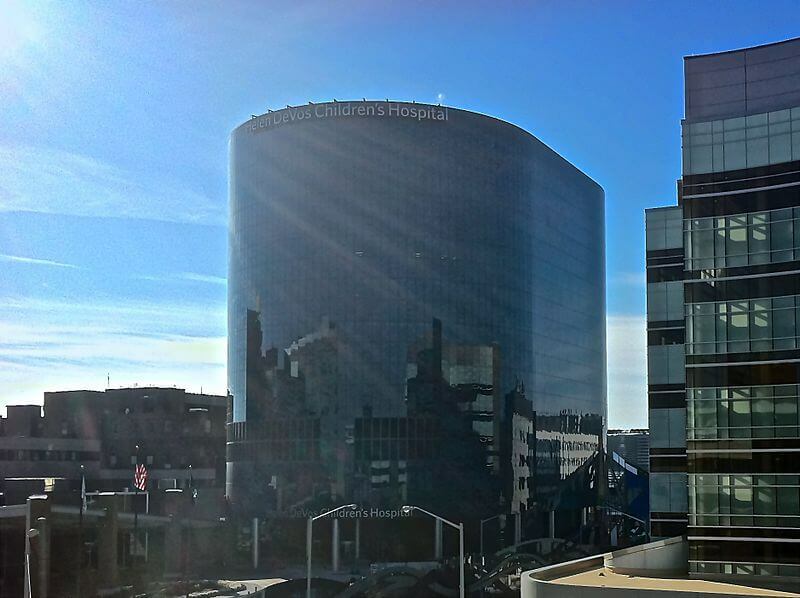 With 429 inpatient beds, Cleveland Clinic Children's Hospital is one of the largest on our list in terms of capacity. The hospital prides itself on its robust pediatric cardiology department. Its 15 board certified pediatric cardiologists and 4 CT surgeons deal with some of the most complex heart conditions and cases in the world, including heart transplants. To date, the team has performed over 100 successful transplants in the smallest of patients. Its award-winning Neurological Institute sees over 10,000 patients per year and has been routinely recognized as the best in the United States. In fact, the U.S. News & World Report recently ranked Cleveland Clinic Children's Hospital as the 17th in the nation for Neurology and Neurosurgery. The hospital was also ranked in 10 other pediatric specialties. Established in 1983, Phoenix Children's hospital is now one of the largest pediatric medical facilities in the United States. With over 1,000 board-certified physicians working in more than 70 different pediatric specialties, the hospital provides the most comprehensive care available to children anywhere in Arizona. 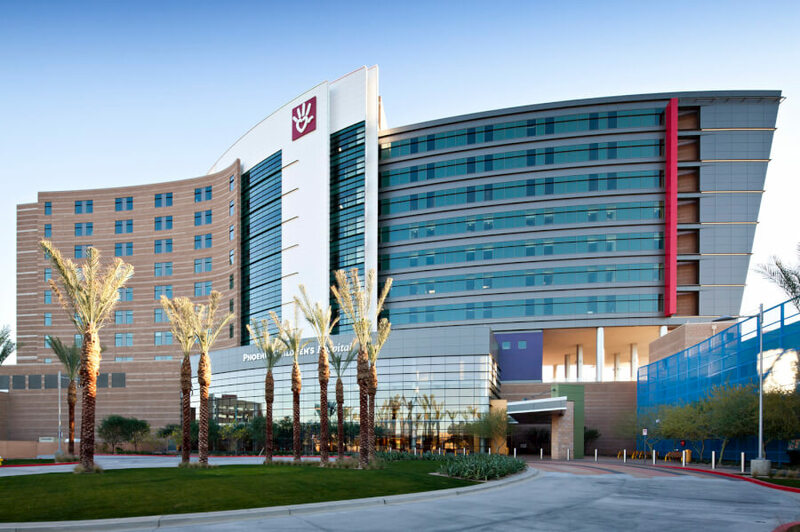 Its six Centers of Excellence include a Level I Pediatric Trauma Center, a NICU, the Barrow Neurological Institute, a heart center, the Center for Pediatric Orthopaedics, and the Center for Cancer and Blood Disorders. The Neonatal Intensive Care Unit (NICU) is home to a Neuro-NICU for infants with brain injuries and disorders. Phoenix Children's is also the teaching hospital for aspiring doctors enrolled in the University of Arizona College of Medicine- Phoenix. It prides itself on patient-centered care, and its motto is "100% for Children." With 639 licensed beds, Texas Children's Hospital is the largest children's hospital in terms of capacity in the United States. The most recent evaluation by U.S. News & World Report ranked the hospital in the top ten for nine out of ten categories. Notably, the publication identified Texas Children's Hospital as second in the nation for Cardiology and Heart Surgery and the fourth in the nation for pediatric cancer care. In addition, the National Committee for Quality Assurance (NCQA) recently awarded the hospital with the highest Patient Centered Medical Home Recognition. Texas Children's Hospital also has a first class neonatal care program, and its Neonatal Intensive Care Unit (NICU) recently began a music therapy program for its patients. Its transplant services are also among the best in the world, boasting one of the highest transplant survival rates. It performed 98 successful organ transplants in 2013, more than any other children's hospital in the nation. Ann & Robert Lurie Children's Hospital is a 1.25 million square-foot, 288-bed facility that serves not only the children of Illinois, but kids all over the world. In 2014, over 1300 physicians provided care for children from all 50 states as well as 48 different countries in 70 pediatric specialties. It was the first children's hospital in the United States to receive the prestigious Magnet Award for Nursing Excellence and has been recognized by U.S. News & World Report, Parents Magazine, and The Leapfrog Group among others. 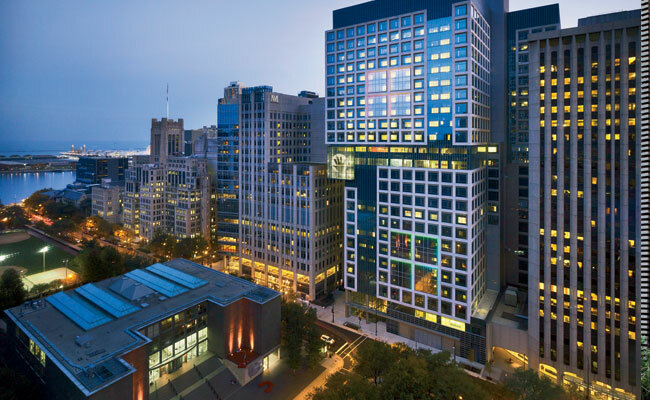 In addition to providing quality care for patients and support for families, Ann & Robert Lurie Children's Hospital is also the primary pediatric teaching hospital of Northwestern University Feinberg School of Medicine, one of the top research-oriented medical schools in the United States. Children's Hospital of Pittsburgh of UPMC has been nationally and internationally recognized for its beautiful architecture, but there's much more going on at this 1,500,000-square-foot facility than just what meets the eye. With more than 700 board-certified pediatricians working in over 100 specialty care units, 315 licensed hospital beds, a 41-bed Pediatric Level I emergency department, and a 36-bed pediatric intensive care unit, the hospital has received regional and national awards for excellence. Families are guaranteed to receive the support they need through a variety of support services offered by the hospital including a Ronald McDonald House, the Lemieux Sibling Center, and a Telemedicine program. Furthermore, the John G. Rangos Sr. Research Center, a 10-story building of which 7 are devoted entirely to pediatric research, is a testament to its commitment to discovering life-saving breakthroughs in medicine. With 490 registered beds, Children's Medical Center Dallas is the fifth largest children's hospital in the United States. Doctors provide expert care for patients in over 50 different pediatric specialties during approximately 450,000 visits each year. The hospital has a history of excellence. It was the first in the nation to be accredited in all three modes of medical transport: ground ambulance, helicopter, and jet. It was also the first pediatric medical facility in the country to develop a day surgery program for children. Today, it remains the only hospital in the United States to hold eight disease-specific certifications from the Joint Commission. In addition to providing first-class care for patients and support programs for families, Children's Medical Center Dallas is also the teaching hospital for medical students at University of Texas Southwestern Medical School. 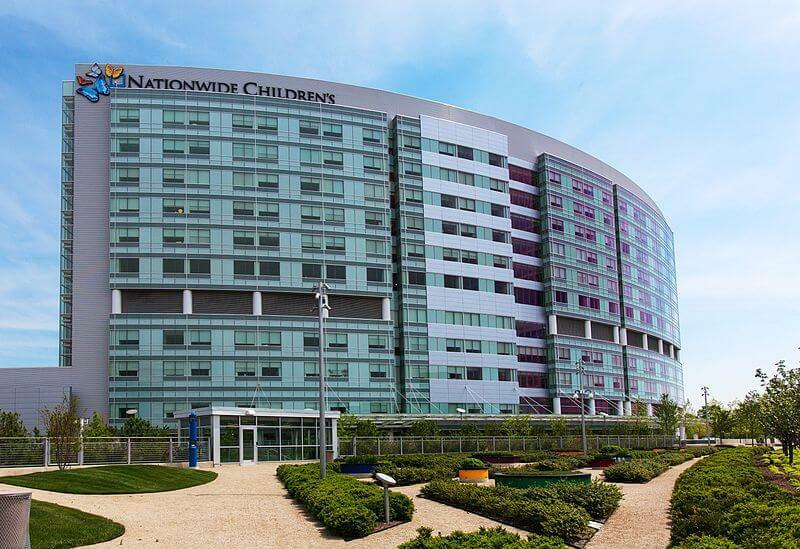 Nationwide Children's Hospital in Columbus, Ohio has been routinely recognized as one of the best in the United States. Established in 1892, the 420-bed hospital now sees an average of one million patients each year and employs nearly 10,000 medical professionals. Its 500,000 square-foot Research Institute is one of the top funded in America, receiving millions of dollars annually from the National Institutes of Health (NIH). The Institute's Centers of Emphasis include Cardiovascular and Pulmonary Research, Childhood Cancer and Blood Diseases, Gene Therapy, and Perinatal Research among several others. It has been called one of the fastest growing pediatric research centers in the United States. Nationwide Children's Hospital is also home to the Department of Pediatrics for the Ohio State University College of Medicine and offers nationally acclaimed pediatric fellowships and residencies. 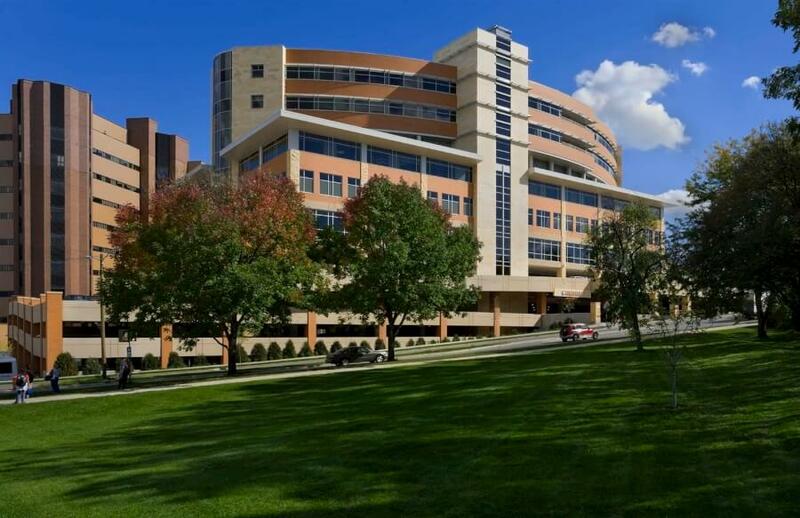 University Hospitals Rainbow Babies and Children's Hospital is a 244-bed comprehensive pediatric medical facility that also serves as the primary teaching hospital for students enrolled in Case Western Reserve University School of Medicine. The hospital's approximately 1,300 board certified pediatric specialists provide advanced care to patients during the 700,000 visits they handle on an annual basis. U.S. News & World Report has ranked UH Rainbow Babies & Children's Hospital as one of the leading pediatric care facilities in the United States for over 25 consecutive years. The hospital is also one of only 13 in the country to be recognized as a Top Children's Hospital by The Leapfrog Group for its quality and safety initiatives. Perhaps most notably, The Quentin & Elisabeth Alexander Level IV Neonatal Intensive Care Unit has been called one of the best in the nation and boasts an impressive 96% survival rate. 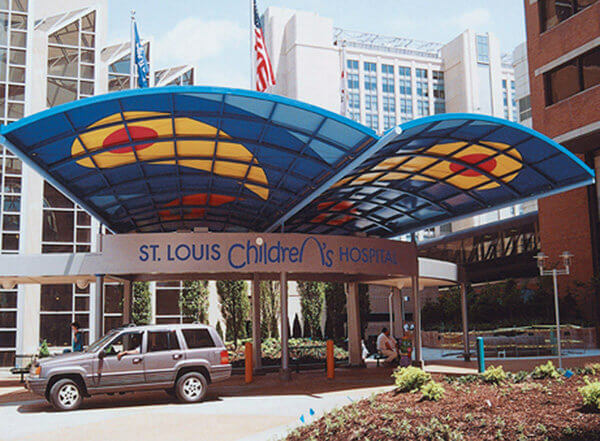 Founded in 1879, St. Louis Children's Hospital is the 7th oldest children's hospital in the United States. Covering all pediatric specialties, the hospital serves approximately 275,000 patients per year from all 50 states and 80 different countries. Its first-class cardiology department develops and performs new, minimally invasive procedures and is home to one of the largest heart failure programs in the country. The physicians at St. Louis Children's Hospital double as teachers to the aspiring doctors at Washington University School of Medicine, one of the top medical schools in the country according to U.S. News & World Report. The school's Department of Pediatrics has been recognized as a Child Health Research Center of Excellence in Developmental Biology and is one of just a few such schools in the nation to be awarded this distinction. 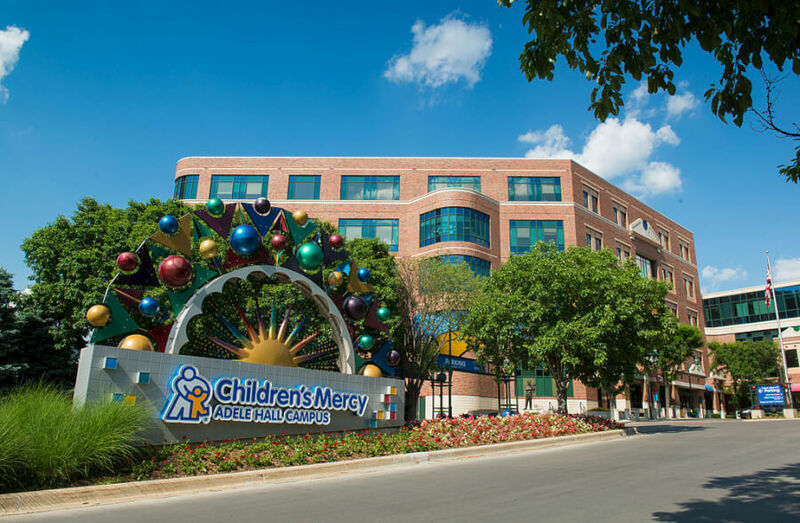 Ranked as one of the best children's hospitals in the United States in ten out of ten pediatric specialties according to U.S. News & World Report, Children's Mercy Hospitals and Clinics provides unmatched pediatric medical care to children ages birth through 21 years of age. Its staff of more than 700 pediatric specialists collectively address childhood conditions and disorders in over 40 pediatric areas. It is the principal teaching hospital for The University of Kansas Medical Center and is also affiliated with the University of Missouri-Kansas City School of Medicine. Its research arm leads the largest nephrology project in North America and is actively participating in over 140 different clinical trials at any given time. It was also the first hospital in Kansas to achieve Magnet status from the American Nurses Credentialing Center for excellence in nursing. Riley Hospital for Children at Indiana University Health prides itself on providing care that is both patient-centered and family-centered. The 455-bed facility founded in 1924 is now one of the United States' best providers of pediatric medical treatment. Although it provides care in every pediatric specialty, certain programs stand out among the rest. For instance, the hospital's heart and cancer programs are both nationally recognized, and it is home to the world's largest pediatric sleep disorders center as well as a Pediatric Level I Trauma Center. Riley Hospital also has strong education and research components. It is the teaching hospital for the Indiana University School of Medicine and houses the Herman B. Wells Center for Pediatric Research where a team of nearly 300 investigators and staff members study important childhood medical issues such as diabetes, gene therapy, growth and metabolism, and neurobiology among others. Seattle Children's Hospital began in 1907 as Children's Orthopedic Hospital. Since then, it has grown from just seven beds to 250 and includes nearly 60 pediatric specialties. The not-for-profit hospital offers inpatient, outpatient, surgical, and emergency treatment for children, regardless of the family's ability to pay. Its internationally acclaimed research arm, Seattle Children's Research Institute, encompasses nine major centers and works diligently to find cures for childhood diseases. It is best known for its work in cancer, genetics, immunology, pathology, infectious disease, injury prevention, and bioethics. 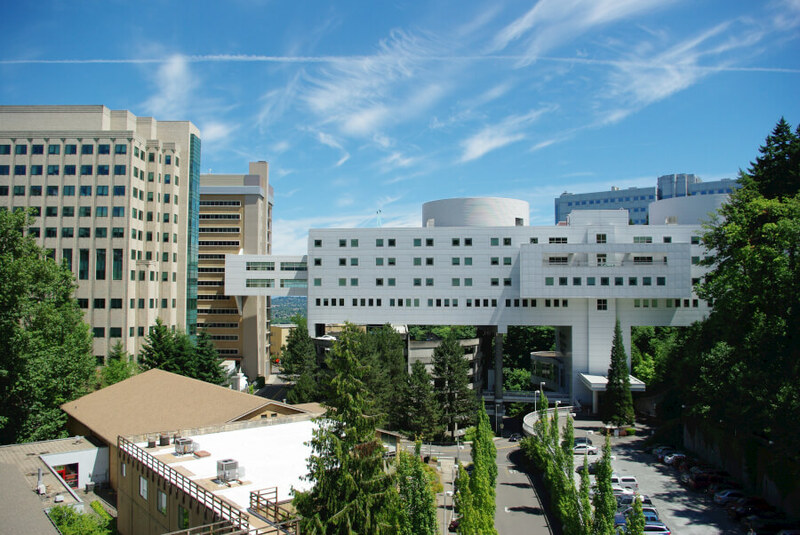 U.S. News & World Report consistently ranks Seattle Children's Hospital as one of the best pediatric medical facilities in the United States and recently listed it as the fifth best children's hospital in nephrology and the seventh best in cancer treatment. C.S. Mott Children's Hospital is a teaching hospital affiliated with the University of Michigan Health System. Its new state-of-the-art facilities span 1.1 million square feet comprised of a 12-story inpatient wing and a 9-story outpatient wing. Included in its 348-bed capacity are 50 private maternity rooms and 46 private NICU rooms. The hospital prides itself on caring not only for their patients, but for their patients' families as well. Two Ronald McDonald Houses are located near the hospital, and families can take advantage of a variety of support services including a meditation space, a family workout room, and Welcome Assistants. The U.S. News & World Report has ranked C.S. 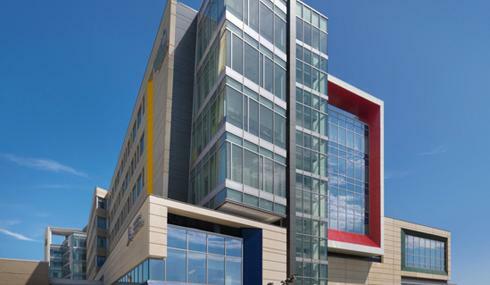 Mott Children's Hospital as the fourth in the nation in Cardiology & Heart Surgery. In addition, the on-site Child Health and Evaluation Research (CHEAR) Unit is one of the only of its kind in the country and is instrumental in altering public health policy on the local, state, and national level. Steven and Alexandra Cohen Children's Medical Center, often referred to as Cohen Children's Medical Center, is a 202-bed comprehensive pediatric medical facility that offers best in class patient and family centered care in a variety of specialties including cardiology, cardiothoracic surgery, and bone marrow transplantation. The hospital's staff of 160 full-time pediatric specialists see 230,000 patients per year collectively, making Cohen the largest provider of pediatric medical treatment in New York state. As an academic medical center, Cohen is the largest teaching hospital in the metropolitan region and as such, has a robust graduate program, sponsoring more than 120 residency and fellowship programs at any given time, including programs in areas such as adolescent medicine, child neurology, and pediatric cardiology among a host of others. As one of the newer children's hospitals featured on our list, Children's Hospital of Orange County has just celebrated its 50th anniversary. The 279-bed state-of-the-art facility houses four Centers of Excellence–The CHOC Children's Heart, Neuroscience, Orthopaedic and Hyundai Cancer Institutes. It is also home to an award-winning, 30-bed Pediatric Intensive Care Unit (PICU) in which doctors provide world class–and often life-saving– medical treatment to critically-ill children and teenagers. The Unit was the first in the country to receive the Pediatric Beacon Award for Critical Care Excellence by the American Association of Critical-Care Nurses (AACN). 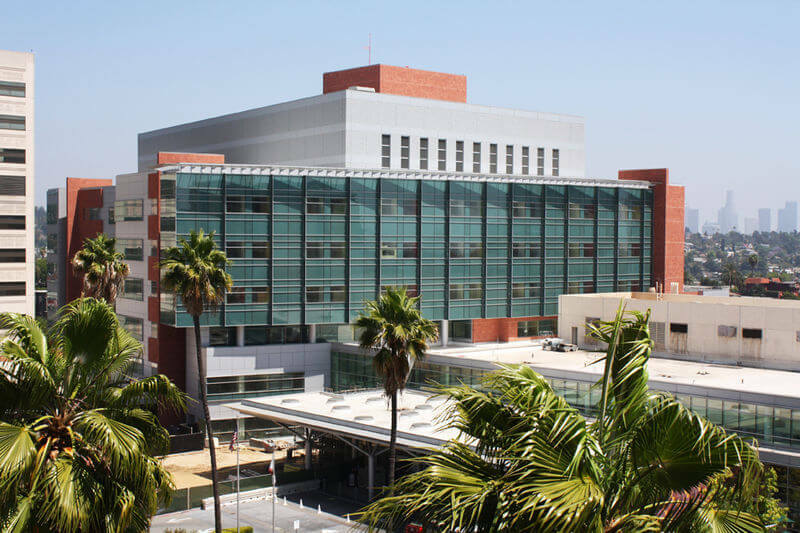 Children's Hospital of Orange County is also the teaching hospital for students at the University of California Irvine and is committed to training the next generation of pediatric specialists. 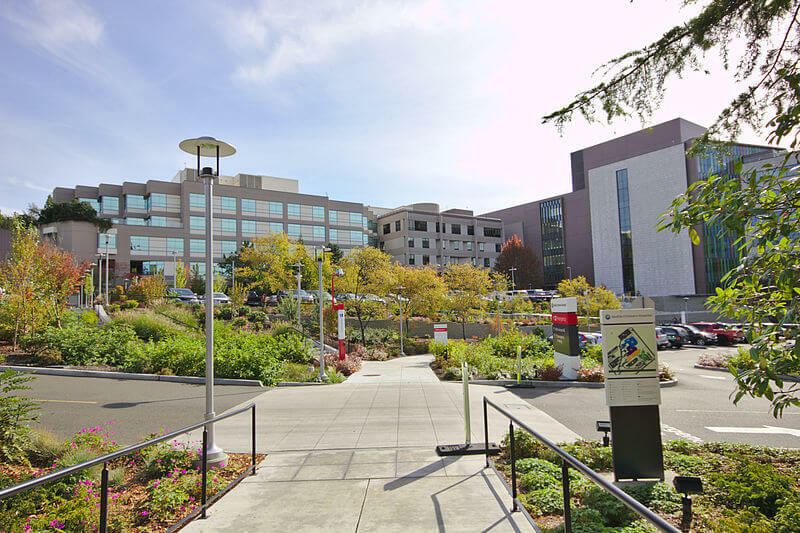 Founded in 1991, Lucile Packard Children's Hospital at Stanford is a relatively new facility, yet it still stands out as one of the best pediatric facilities in operation today. With 311 licensed beds and nearly 700 board certified physicians, the hospital focuses on providing the best medical care possible for babies, kids, and pregnant women in California and throughout the country. Although it is a comprehensive pediatric medical facility with a NICU and trauma center, the hospital focuses on six centers of excellence: Brain and Behavior, Cancer and Blood Diseases, Children's Heart Center, Cystic Fibrosis and Pulmonary Diseases, Pregnancy and Newborn Services, and a Transplant and Tissue Engineering Program. U.S. News & World Report recently ranked the Lucile Packard Children's Hospital at Stanford number 12 in the nation in the specialty of neonatology. Monroe Carell Jr. Children's Hospital at Vanderbilt is a 835,000 square-foot, 271-bed facility focused on providing the best pediatric medical treatment while educating future physicians and discovering breakthroughs in medicine that can improve the quality of life for future generations. It has been consistently recognized as one of the best children's hospitals in the United States by U.S. News & World Report and is home to a Level I pediatric trauma center. It serves as the teaching facility for Vanderbilt University and conducts research in a variety of pediatric specialties through the School of Medicine's Department of Pediatrics. As of the 2015-2016 report, Monroe Carell Jr. Children's Hospital at Vanderbilt was ranked in all 10 specialties by U.S. News & World Report. Its nursing staff has also been recognized for excellence by receiving the coveted Magnet distinction. 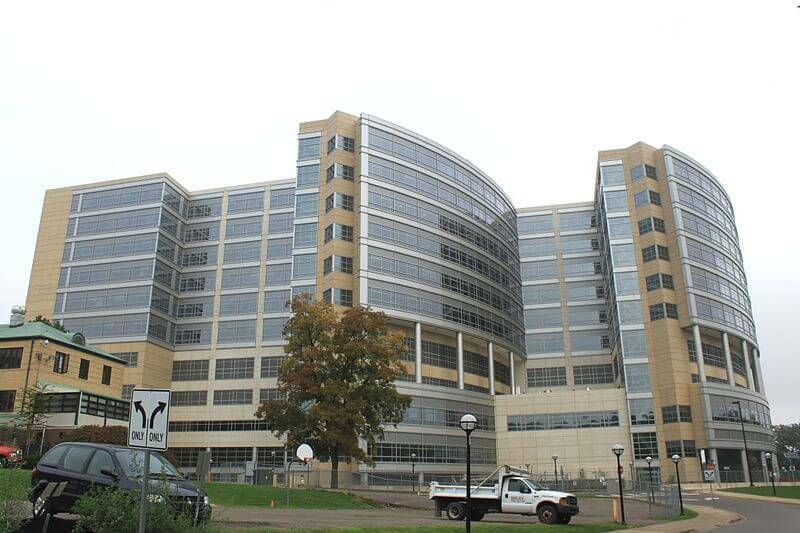 With 414 beds, Akron Children's hospital is one of the largest pediatric medical facilities in America, and it also happens to be one of the best. U.S. News & World Report has ranked the hospital as one of the best in seven different pediatric specialties including cancer, diabetes and endocrinology, neonatology, and pulmonology. It has also earned the prestigious Magnet status for nursing excellence by the American Nurses Credentialing Center. In addition to providing outstanding medical care for patients, the hospital is also busy training the next generation of doctors through its affiliation with Northeast Ohio Medical University. It also sponsors clinical studies and research programs through its research institute in order to discover new treatments and cures for childhood illnesses. 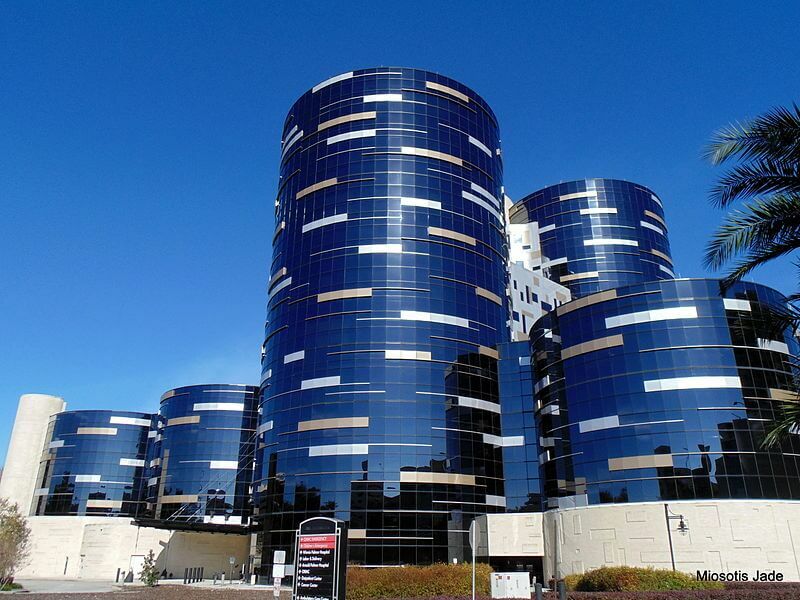 The Children's Hospital of Michigan is a 228-bed facility with an international reputation for providing exemplary pediatric care. 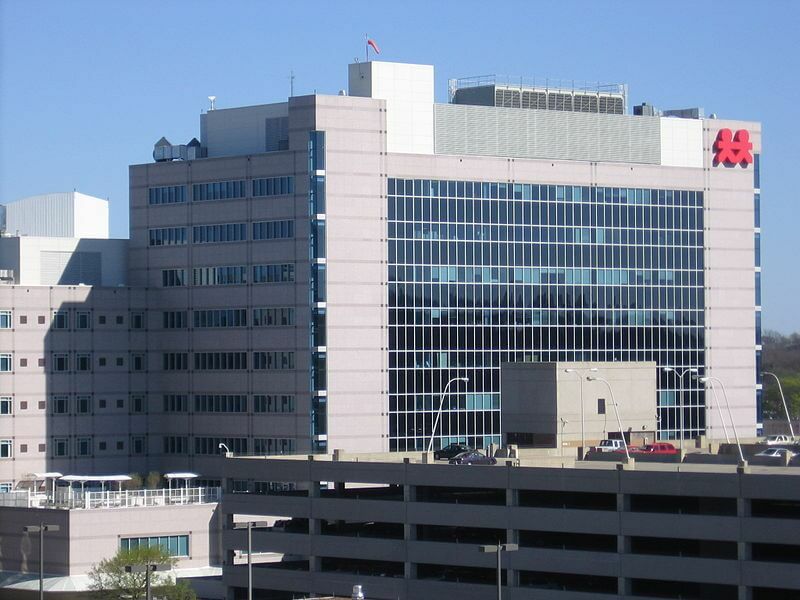 As a member of Detroit Medical Center (DMC), the hospital is the first and largest pediatric medical facility in the state of Michigan. A major hub for medical education and training, the hospital trains more pediatricians than any other facility in Michigan and is the largest recipient of Children's Hospitals Graduate Medical Education funding in the United States. Doctors at the hospital are credited with developing new medical techniques used all over the world such as the Genesis Stent, a device that saves lives and eliminates the need for pediatric open heart surgery by opening blood vessels that grow with the child. U.S. News & World Report ranked the Children's Hospital of Michigan as among the top children's hospitals in the country in eight out of ten specialties. 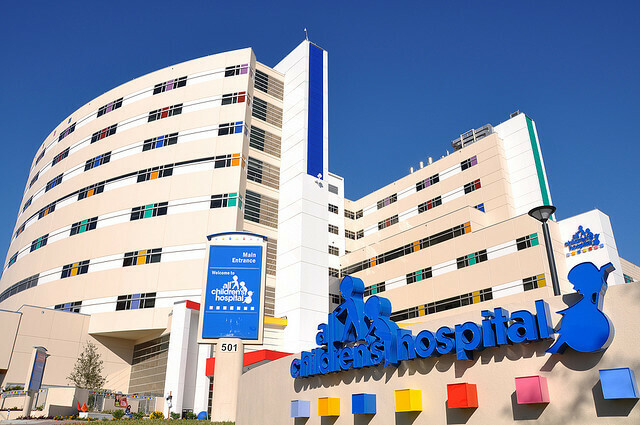 At over 2 million square feet, Children's of Alabama is the third largest pediatric hospital in the United States. In 2014, doctors at the hospital cared for children from 41 different states and four foreign countries. 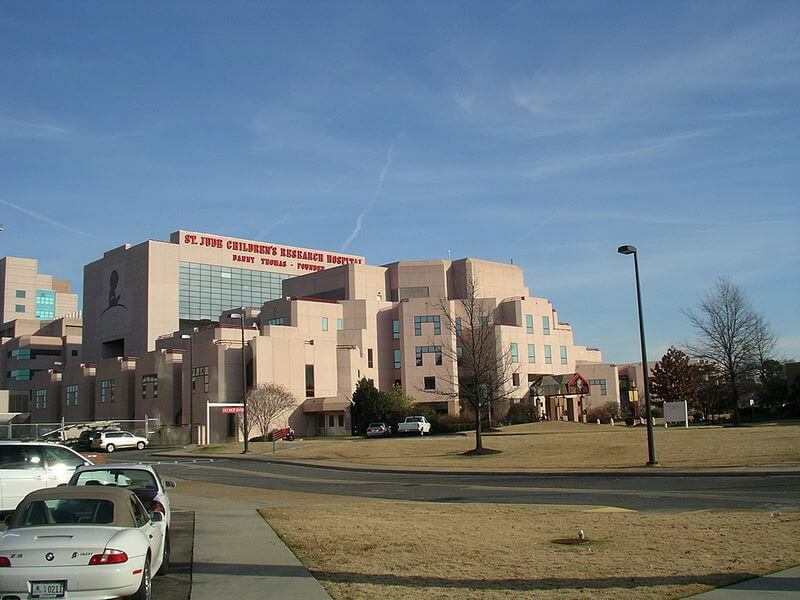 The hospital also serves as the primary teaching hospital for the University of Alabama at Birmingham, offering aspiring physicians residency programs in medicine, surgery, and research. Its strong community partnerships enable the hospital to provide unique enrichment activities year round for their young patients including trips to the local botanical gardens, zoo, and public library, for instance. It is Children's of Alabama's mission to not only care for kids, but to advocate for them as well and to educate the public about issues that affect the health and well-being of children. Having opened in 2013, Penn State Hershey Children's Hospital is the newest pediatric facility on our list. Still, it has already ranked as one of the best children's hospitals in the United States in 8 different specialties, according to the U.S. News & World Report. The five-story facility contains 128 beds, a pediatric cancer pavilion, a level IV neonatal intensive care unit, and a level I pediatric trauma center. The hospital is the primary teaching facility for students of the University Park Regional Campus of Penn State College of Medicine and offers several internship opportunities for third and fourth year students. It is also a major research hub for pediatric medicine. Among its institute's advancements include the development of the Center for Host Defense, Inflammation, and Lung Disease Research (CHILD) as well as the Penn State Hershey Pediatric Cardiovascular Research Center. 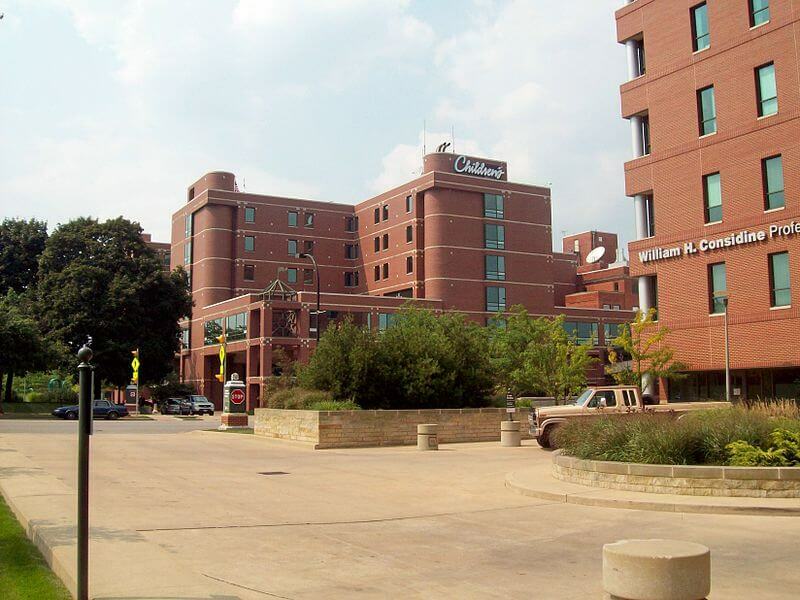 University of Iowa Children's hospital is the only comprehensive pediatric medical facility in the state. Although one of the smaller children's hospitals on the list, it still manages to cover 40 different pediatric specialties and has been regionally and nationally recognized for excellence in care. For instance, U.S. News & World Report recently ranked University of Iowa Children's Hospitals as one of the best in the country in nine out of ten pediatric specialties. In addition, it was the first hospital in Iowa to receive the Magnet designation for nursing excellence. The hospital is also home to both a Level I Pediatric Trauma Center and a Level IV Neonatal Intensive Care Unit (NICU). Its family-centered approach to care is visible in the many support services it offers including coping support for siblings, a family and youth advisory council, and grief services. Duke Children's Hospital and Health Center is a 190-bed facility that provides care to children in 36 comprehensive pediatric specialties. With nearly 200,000 patient visits per year, the hospital is a major referral center for kids with the most complicated and/or severe conditions in the region. 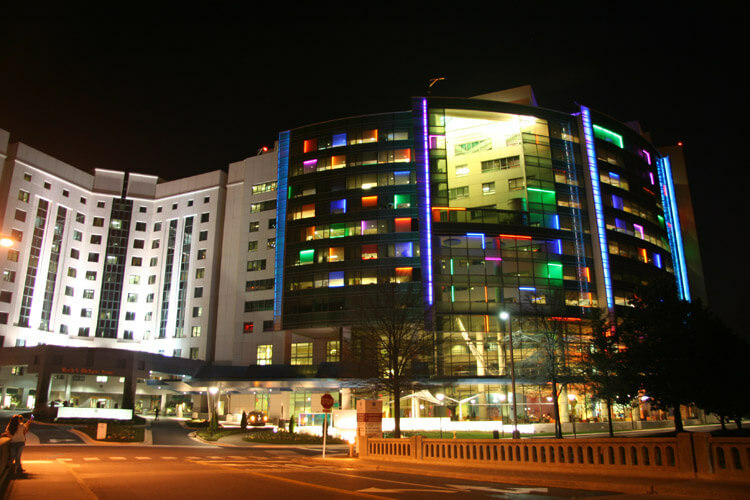 The hospital is a member of the Children's Miracle Network Hospitals and is consistently recognized by U.S. News & World Report as one of the top hospitals in the United States. 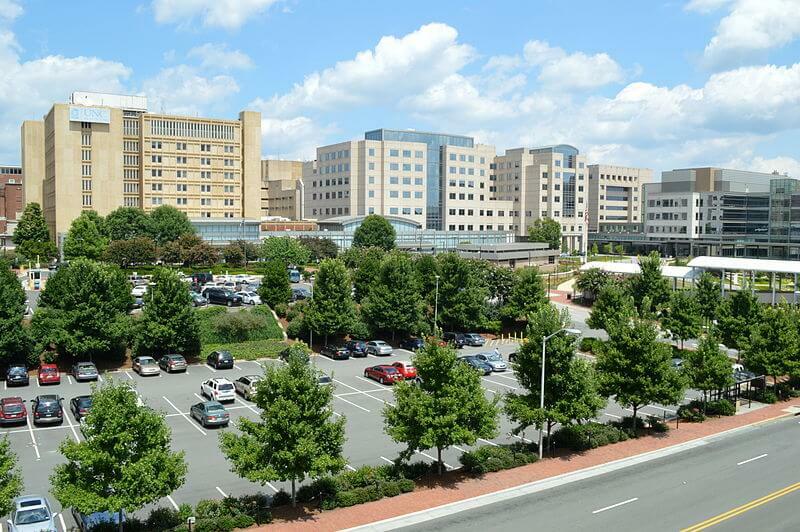 Duke Children's is affiliated with Duke School University School of Medicine, which has been identified as one of the best medical schools in the country. The hospital's pediatric cardiology program, which specializes in infant heart defect repair, has been internationally recognized and boasts a 98 percent hospital survival rate. The Mayo Eugenio Litta Children's Hospital is a 85-bed state-of-the-art pediatric medical facility that is a part of the internationally recognized Mayo Clinic. It is a comprehensive children's care center that includes a 28-bed neonatal intensive care unit and a 14-bed pediatric intensive care unit as well as an emergency room, heliport, surgery suites, and specialized diagnostic and treatment facilities. The hospital employs over 150 board certified physicians who perform complex and life-saving procedures every day including organ transplants, bone marrow transplants, and heart surgery. Child life professionals are also on staff to teach children coping skills helpful in dealing with pain as well as the stress of illness and treatment. Family services include spiritual care, education, and a family support space within each pediatric care unit. 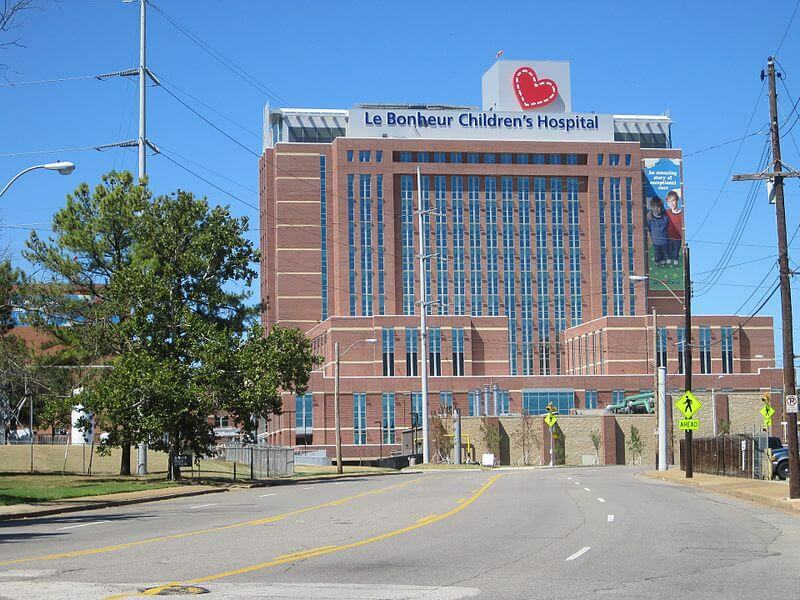 Originally a children's orphanage, Le Bonheur Children's hospital has been providing expert pediatric care to kids from the region, the nation, and even the world for over 60 years. The 255-bed medical facility is home to the only Level I Pediatric Trauma Center in the region, a Level IV Neonatal Intensive Care Unit (NICU) and a Level IV Accredited Epilepsy program as well as a world-renowned brain tumor program. It is also an affiliate of another hospital on our list, St. Jude Children's Research Hospital and the headquarters of the Children's Foundation Research Program. Each and every doctor on staff is a pediatric specialist and together, they cover over 40 specialty areas of pediatric care. As the teaching hospital for the University of Tennessee Health Science Center, Le Bonheur Children's Hospital is making its mark on the next generation of pediatric specialists while caring for the children of today. Referred to as "the hospital in the garden," Nemours Children's Hospital is surrounded by beautiful green spaces in Orlando, Florida. The vision of the hospital's founders was to establish a unique place of healing and wellness for children by including the perspectives of everyone involved in the patient's healthcare journey, thus, their motto, "for families, by families." Though Nemours is a smaller facility (housing just 95 beds), it is designed for all levels of care to be provided in one place. Its outpatient clinics, emergency room, and hospital are all adjoined and services for lab work, imaging, and pharmacy are also onsite, eliminating the need for parents to drive their sick children to multiple locations. In addition to this convenience, Nemours provides each patient familiarity and comfort by having its medical professionals to follow them throughout each level of their stay. Nemours Children's Hospital has 8 specialties ranked by U.S. News and World Reports Magazine and was selected as one Leapfrog Group's top hospitals of 2014. Primary Children's Medical Center is the site of the only Level I Pediatric Trauma Center in the Intermountain West region of the United States, making it a go-to referral site for kids with complex or critical conditions. It is also one of only nine core sites for the Pediatric Heart Network and the only one in its region. The 289-bed facility serves as the primary teaching site for students in the University of Utah's School of Medicine. The hospital prides itself on putting the patient first; its motto, "The Child First and Always" is inscribed in limestone outside of the facility's entrance. U.S. News & World Report has ranked Primary Children's Medical Center as 12th in the United States for the pediatric specialties of Neurology & Neurosurgery as well as Orthopedics. 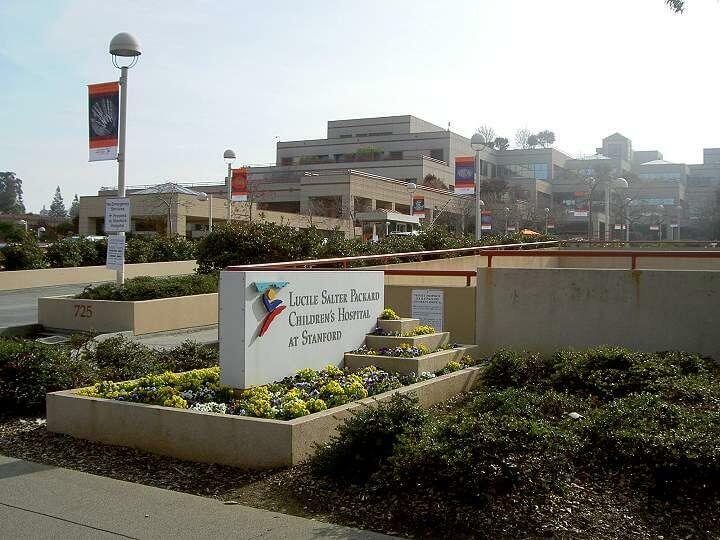 UCSF Benioff Children's Hospital in San Francisco is a 183-bed comprehensive pediatric care facility that is best known for its neonatal program. The only children's hospital in San Francisco, UCSF is a leader in fetal diagnosis and treatment, having performed the first successful surgery on a baby in the womb and is home to one of the world's first neonatal intensive care units. The hospital also leads the nation in neurology and neurosurgery and houses the largest brain tumor treatment program in the United States. Beyond clinical care, the hospital's nationally recognized Child Life Department helps children and teens find their time in the hospital comforting, stimulating and life affirming, with programs that include the Center for Families, a lounge, resource center, health library, business center and concierge desk for families; a dedicated, accredited San Francisco Unified School District classroom; creative and digital arts studios; and various activity rooms. With just 87 beds, American Family Children's hospital is a small facility, but it makes a big difference to the children and families of Wisconsin and beyond. Recognized as the best of the best in five pediatric specialties by U.S. News & World Report, the hospital provides world class care for over 150,000 children per year. Its modern facility and warm environment make an ideal healing environment for kids. Although the hospital provides comprehensive care in nearly every pediatric specialty, it is best known for its internationally recognized transplant surgery program and state-of-the-art children's cancer center. 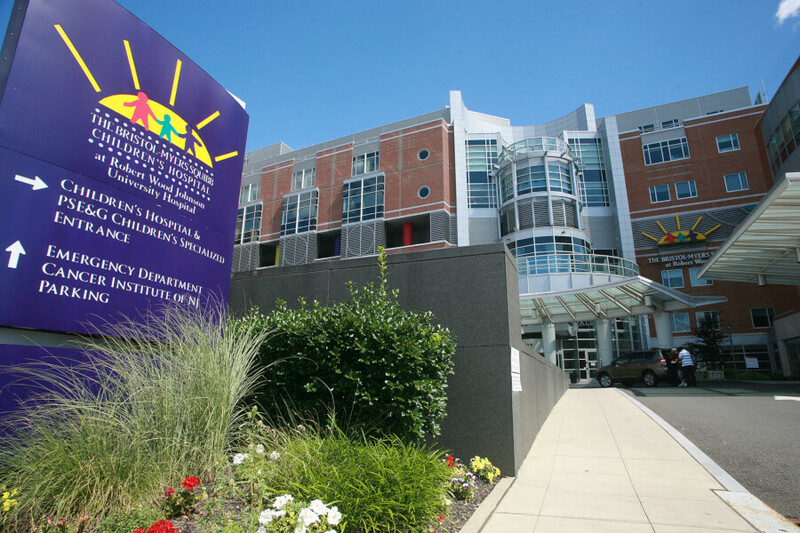 American Family Children's Hospital is also home to a 14-bed Level IV Neonatal Intensive Care Unit. Doctors at the hospital have been recognized for their groundbreaking medical research as well, most notably in the areas of cancer, pulmonology, juvenile diabetes, genetics, transplantation, and asthma. With 234 licensed beds, Levine Children's Hospital is the largest provider of pediatric medical care in the Southeastern United States. Their expertise spans 30 different pediatric specialties, five of which were ranked in the top fifty in the nation, according to U.S. News & World Report. The hospital's Level I Pediatric Trauma Center was the first in the region to offer 24/7 emergency pediatric care. Its dedication to child and family-centered care can't be missed. There are colorful playrooms on every level of the hospital, and 30 Child Life specialists are on staff to provide emotional support to sick patients. 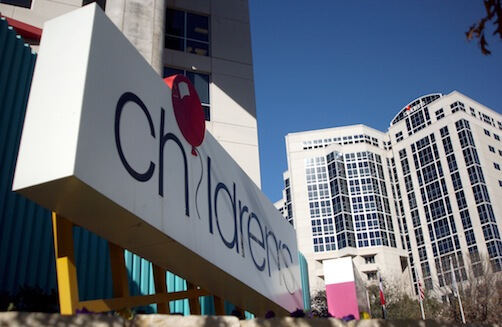 Levine Children's hospital educates students from Carolinas Medical Center and actively participates in pediatric research as well as clinical trials in areas such as oncology, infectious diseases, neonatology, nephrology, and neurodevelopmental pediatrics. Mattel Children's Hospital UCLA is a "hospital within a hospital" located inside Ronald Reagan UCLA Medical Center. Its excellence in pediatric care was recently recognized by U.S. News & World Report as one of the top children's hospitals in the United States in nine out of ten specialties. Committed to family-centered care, the hospital offers many support services for parents and siblings including a family resource center and parent support groups. Mattel is the teaching hospital for the University of California Los Angeles and offers pediatric residencies and fellowships in several pediatric areas such as cardiology, critical care, medical genetics, and more. Its research component, UCLA Children's Discovery and Innovation Institute, actively participates in medical research relevant to its four core areas: brain, behavior, and development; nutrition, metabolism, and growth; cancer and regeneration; and infection, inflammation, and immunity. Together with the Winnie Palmer Hospital for Women & Babies, Arnold Palmer Hospital for Children forms the Arnold Palmer Medical Center, the largest facility for women and children in the United States. The 158-bed state-of-the-art facility is dedicated to providing patient and family-centered care to the children of Orlando, Florida and beyond. It was recently ranked as one of the best children's hospitals in America by U.S. News & World Report in seven different pediatric specialties: cardiology, endocrinology, gastroenterology, neonatology, neurology, orthopedics, pulmonology, and urology. Home to a Level 4 Epilepsy Center, the hospital is one of the best equipped in the country to treat children suffering from seizures. The Child Life Staff and Healing Arts Program are testaments to the hospital's commitment to the developmental and emotional wellbeing of its patients and their families. The Children's Hospital of Illinois had its beginnings in the late 1800's in a two story residential home managed by Catholic Nuns in Peoria, Illinois. Shortly after being granted funds that they had requested from nearby OSF St. Francis Medical Center for an orphanage they had previously established in Iowa City, Illinois, the sisters were to have their first patient. Today, this children's hospital is part of the OSF St. Francis campus and is designated a Level I Pediatric Trauma Center, an internationally recognized (Vermont Oxford Network) Level IV Neonatal Intensive Care Unit, hosts 10 pediatric surgical specialties, and is part of the Children's Miracle Network of hospitals that draws patients from sub-clinics located throughout the midwest region. Additionally, Children's of Illinois is home to the only downstate Pediatric Diabetes Resource Center as well as one of two neurological surgery teams in the state. Established in 1926 through a donation by prominent Portland businessman Frank Silas Doernbecher, Doernbecher Children's Hospital is now a premier children's hospital providing a full spectrum of pediatric care to kids throughout the Pacific Northwest. In addition to world-class medical treatment in specialties ranging from cancer and blood disorders to cardiology and neurology, patients and their families can expect to receive support that extends beyond just physical care. The hospital's robust family services department offers children and their parents a variety of social services, education programs, and spiritual support. The Family Resource Center, for instance, hosts weekly activities for parents and includes a large selection of children's books. The hospital is also home to a world-class pediatric training program and is the affiliate hospital for Oregon Health & Science University. Spectrum Health's Helen DeVos Children's Hospital is a state-of-the-art 212-bed, 464,000 square-foot facility that provides care for infants, children, and adolescents in over 50 different pediatric specialties and programs. Having begun as a small neonatal intensive care unit in 1973, the hospital has since grown into a comprehensive children's hospital that employs over 200 pediatric physicians and provides care for approximately 150 patients per day. Recently, U.S. News & World Report recognized Spectrum Health's Helen DeVos Children's Hospital as one of the top in the United States in three key pediatric specialties– cancer, nephrology, and pulmonology. In addition to providing physical care, the hospital has a strong children's advocacy program, The Children's Advocacy Network, which advocate for laws that protect children. 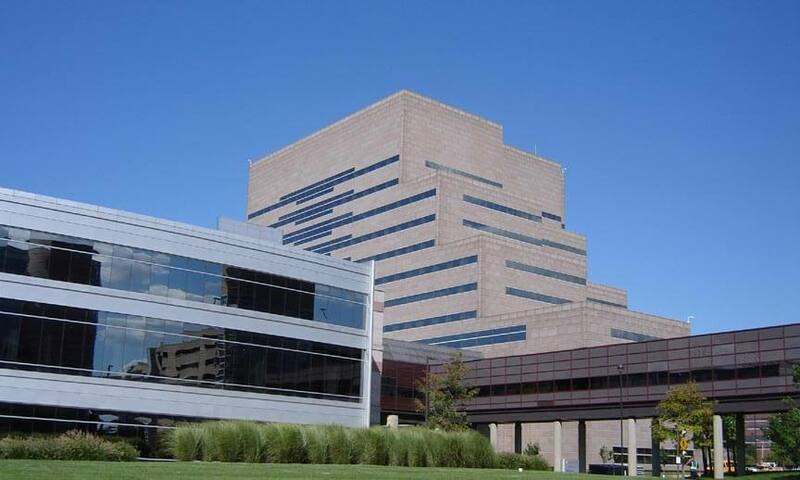 Bristol-Myers Squibb Children's Hospital at Rutgers Robert Woods Johnson University Hospital is located in central New Jersey and serves its region in general pediatric medicine and surgery for patients ranging from new-born to 21 years of age. This state-of-the-art facility offers a broad spectrum of pediatric specialty care including hematology, oncology, pediatric surgery, pulmonology, and urology. BMSCH is a part of the nearby Child Health Institute of New Jersey biomedical research facility that hosts the offices for hospital faculty and staff of Rutgers University. This kid and parent friendly hospital offers a Child Life Program that helps make the transition into hospital living more comfortable for its suffering families. 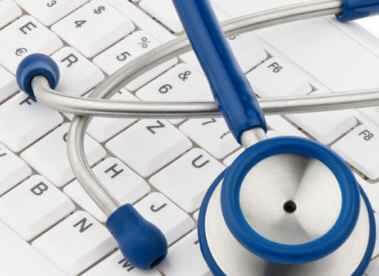 Additionally, BMSCH employs a full time certified teacher to help patients of school age keep their academics current. The campus offers valet and self pay parking, and a Ronald McDonald House is on site to accommodate patients and families for prolonged stays. With more than half of its 259 licensed beds devoted to intensive pediatric care, All Children's Hospital deals with some of the most complex and difficult pediatric medical conditions there is. It is the only specialty licensed children's hospital in its area and has become a referral center for children across the world. Sick kids and their families travel to All Children's from all 50 states and 36 foreign countries to take advantage of the first-class treatment offered by this exceptional medical facility. It has been a member of John Hopkins Medicine since 2011 and was the first hospital outside the Baltimore/Washington DC area to be offered this membership. As a teaching hospital, it offers two residency programs–one from the University of Southern Florida and one from John Hopkins Medicine. British Columbia Children's Hospital was initially established as The Vancouver Hospital for Crippled Children in the early 1900's from a fund for crippled children granted by Vancouver, Canada's Health Authority. In the following several decades, new facilities were created and names changed as understanding and awareness of childhood illness evolved. In order to place the emphasis on the child, rather than the disease, the hospital was dubbed BC Children's in the late 1940's. 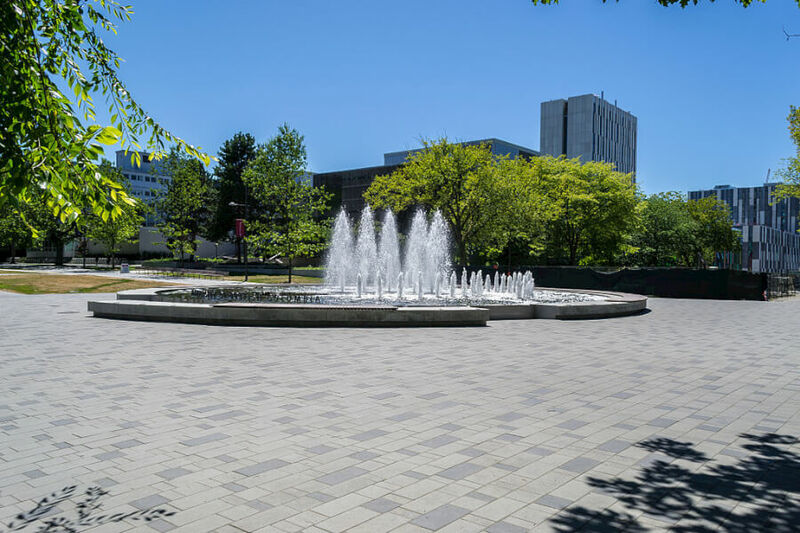 Today, BC Children's is a state-of-the-art teaching hospital affiliated with the University of British Columbia as well as several other post-secondary institutions located throughout the province. This modern campus now includes an onsite research center, ambulatory care center, and an International Child Health Center to comply with global standards of pediatric health care. Children's health is continuing to grow into off-campus physical branches of healthcare as well as internet based "telehealth" videoconferencing technologies to overcome geographical boundaries. In stark contrast to its early days, BC Children's Hospital and its specialized affiliates treat hundreds of thousands of pediatric patients annually. Children's Memorial Hermann Hospital is only 30 years old, making it one of the younger hospitals on the list, but it has managed to accomplish a lot in the span of just three decades. The 310-bed facility is home to a Level I Pediatric Trauma Center (the first in the Gulf Coast area) as well as a Level IV comprehensive epilepsy center and a Level IV Neonatal Intensive Care Unit (NICU). The NICU is one of the largest facilities of its kind in the United States and provides care for infants born as young as 23 weeks. The Fetal Center at Children's Memorial Hermann Hospital is also nationally recognized for fetal diagnosis and intervention for unborn babies with congenital and genetic abnormalities. Children's Memorial Hermann Hospital is also the training facility for aspiring pediatricians and specialists studying at McGovern Medical School at UTHealth in Houston. With just 150 licensed beds, the North Carolina Children's Hospital at UNC is one of the smaller facilities on our list, but it is dedicated to a very big mission. Its driving philosophy, CARE, is a four-tier commitment to clinical care, advocacy, research, and education. The latter aspect of this mission is visible through its work at the University of North Carolina School of Medicine where its 200 physicians teach classes in nearly 50 different programs, including those in the School's Department of Pediatrics. The facility itself is a major referral hospital for children with critical and complex conditions. It consists of a 58-bed newborn critical care center, a 20-bed, Level I pediatric intensive care unit, as well as an 8-bed children's intermediate care center. St. Jude Children's Research Hospital is a one-of-a-kind pediatric medical facility with a history almost as fascinating as its breakthroughs in medicine. Entertainer Danny Thomas prayed to St. Jude Thaddeus, the patron saint of hopeless causes, in 1962 to show him a way to make a living for his family and promised to build the saint a shrine in return. Thomas got the break he needed, and St. Jude Children's Research Hospital is the result of that promise. 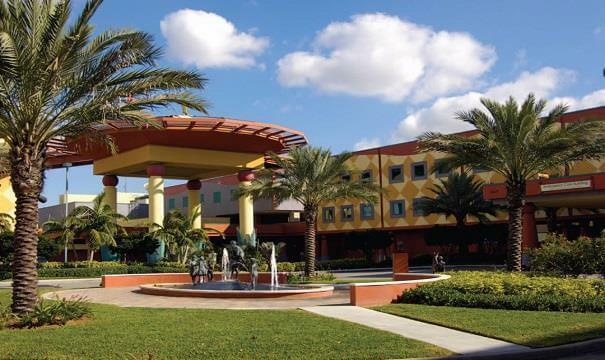 Now, St. Jude is one of the premier pediatric hospitals in the United States and the world for complex children's illnesses such as cancer and sickle cell disease. Since its inception, the survival rate for childhood cancer has risen 60% from 20% in 1962 to 80% today. Most of the hospital's funding comes from donors, and patients' families never pay a dime for medical treatment. 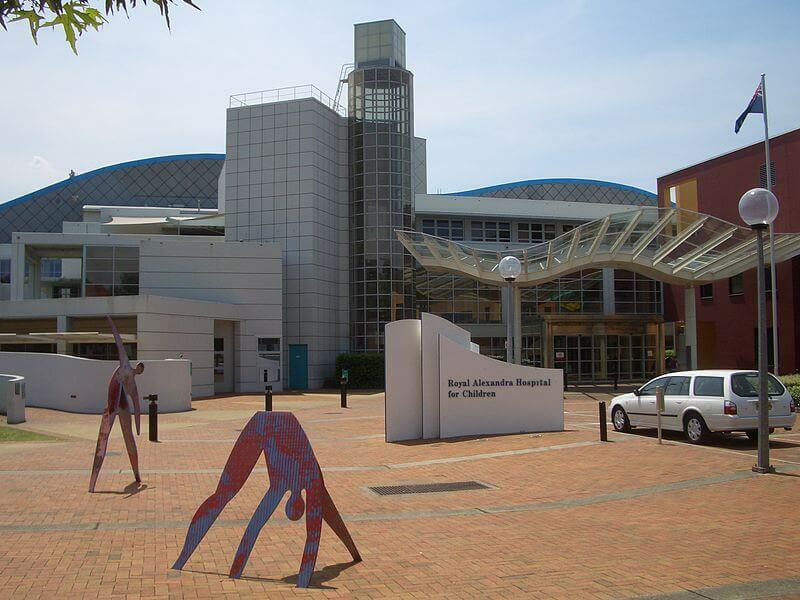 Also known as The Royal Alexandra Hospital for Children, The Children's Hospital at Westmead is a 340 bed facility that provides care for children from across the globe. Each year, 70,000 sick and injured children and their families receive treatment and support from The Children's Hospital at Westmead, which is a part of the Sydney Children's Hospitals Network. The hospital is also home to The Kids Research Institute where hundreds of researchers work to find treatments and causes for conditions that affect this generation of children. The hospital leadership and staff work to make the facility as uplifting as possible for kids. Play areas, gardens, art programs, and libraries are just some of the features that make going to the hospital a little less daunting for children. The Children's Hospital at Westmead also employs teachers so that kids don't get behind in school just because they're ill.